This tray can serve a variety of functions from serving up nuts or candies to acting as a beautiful centerpiece. 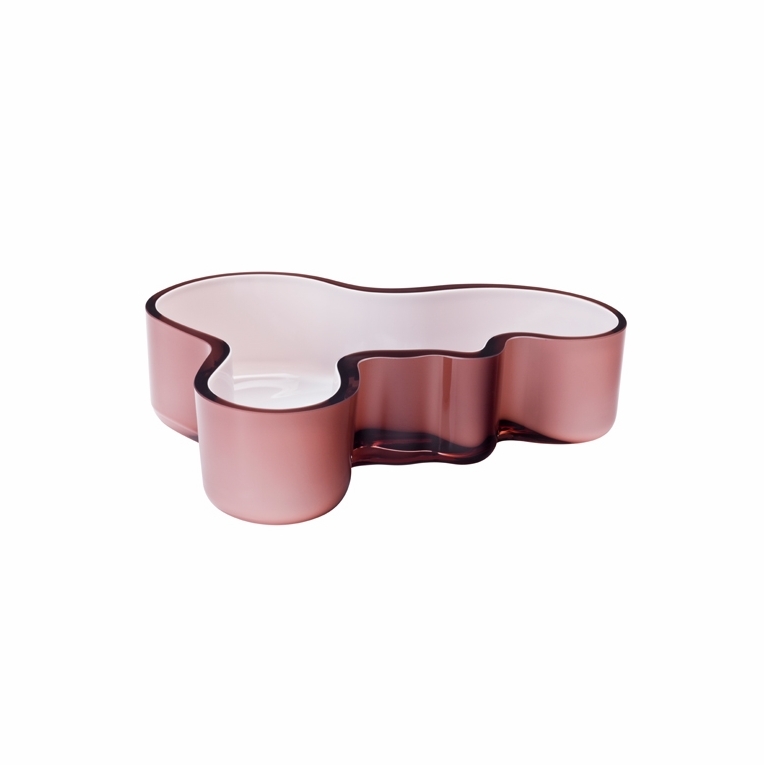 The dual colored tray is especially unique in that it combines mauve colored glass with an opaque white. The result is nothing short of stunning. You will enjoy the understated beauty of this tray every time you use it, so make it a part of your Aalto collection today.